Since the very inception of the chemical geoengineeering programs, the U.S. Federal Government has repeatedly denied their existence. Various agencies and departments within the government have actually belittled many investigative journalists and scientific researchers who have conclusively proved their existence. Many truth seekers throughout the Alt Media have been the object of scorn for even broaching the subject. Some have been intimidated by government proxies and/or threatened by private contractors for making their geoengineering claims and publishing their findings. Now we see that there was a scientific research paper published by the National Center for Biotechnology Information which “is part of the United States National Library of Medicine, a branch of the National Institutes of Health”. 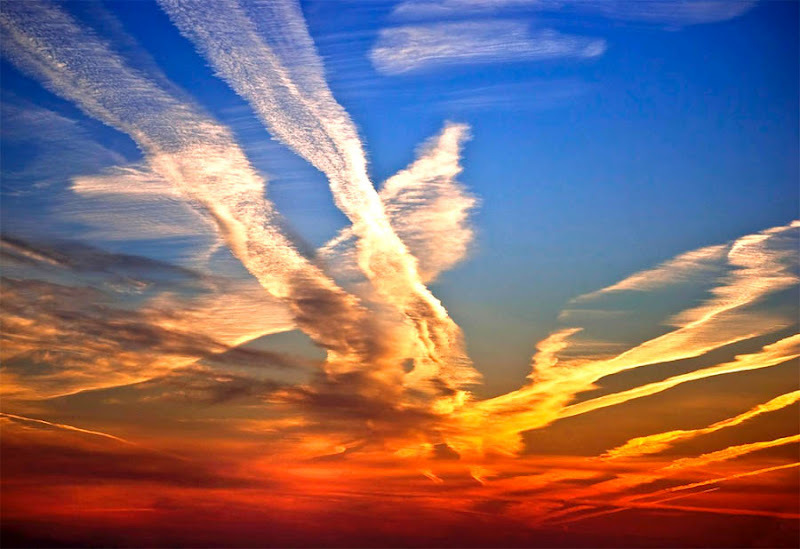 The title of the paper is “Assessing the direct occupational and public health impacts of solar radiation management with stratospheric aerosols” and it can be found at the following link: US National Library of Medicine Posted Scientific Research Paper Acknowledging Chemical Geoengineering. Even though this article was published in January of 2016, many in the anti-geoengineering community have continued to be the victim of hit pieces and propaganda, especially on social media. How does this even happen, especially when the government itself proclaims that chemical geoengineering is being conducted in the skies. 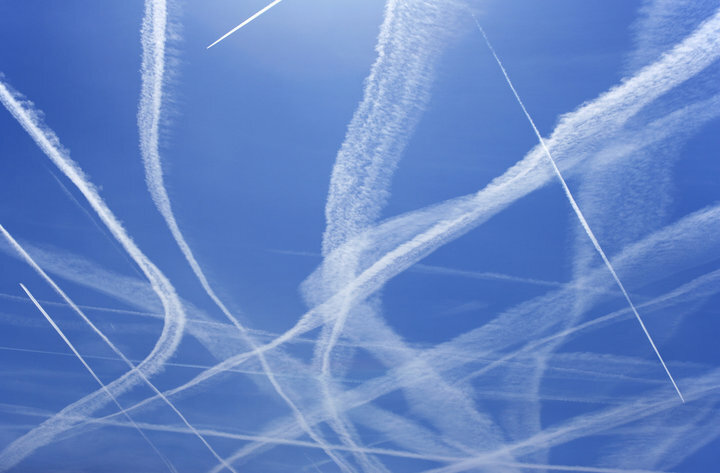 What is particularly galling about this ongoing predicament is that every chemtrail watcher knows with absolute certainty that toxic chemtrails are being discharged across the planet with a vengeance. See the photos in the following link. Many of us have made direct correlations with the frequency and intensity of chemtrail operations and a variety of ailments and symptoms which invariably occur in their wake. The resulting illness has even been given a name: Chemtrail syndrome. Therefore, it does not take a scientific research paper for us to know what we see daily in the skies and feel in our own bodies. Why have they lied for so long? There are specific reasons why the federal government, along with the U.S. military, have outright lied about these intensifying geoengineering programs. First of all, and most importantly, the true reasons behind these highly destructive and covert operations are quite alarming. There is nothing good about their intentions, nor about the extreme damage that is being inflicted on the troposphere. The following video lays bare just one piece of the clandestine agenda at work with regard to the carefully hidden geoengineering agenda. Were the truth to be told about the depth and breadth of geoengineering projects currently in progress throughout the USA, the American people would literally revolt against the government. Their inherent dangers and risks are so great that communities everywhere would understand they are under relentless chemical and frequency assault. The following compendium of essays and exposés provides just a glimpse into the true state of affairs where it concerns Earth’s atmosphere. Of course, what happens in the air eventually affects the land masses and water bodies across the planet. And so it has. Therefore, all of humanity is being adversely affected as we are being sprayed regularly like cockroaches. The biggest take-away from this crucial teaching moment is as follows: that the government’s inordinate refusal to publicly share this vital information and essential data is connected to an extremely serious matter—Global Climate Change! It is now an established scientific fact that the single greatest cause of climate change is geoengineering (see preceding link). The nonstop global chemtrail spraying operations are dumping tons of particulates, such as coal fly ash, into the atmosphere which is contributing to the formation of massive amounts of water vapor. Water vapor is the most prevalent greenhouse gas. Greenhouse gasses contribute considerably to climate change particularly when their atmospheric volume is increasing so fast due to chemtrail aerosols. Herein lies the real problem. The more chemical geoengineering that is conducted in the skies, the more disruptive climate change will be. In other words, the climate change advocates are right about the catastrophic changes in the weather; but they’re wrong about the true causation. The geoengineers are wreaking havoc with their systematic chemtrail emissions and HAARP frequencies, Nexrad transmitters and power plant moisture sources. The geoengineers can even create superstorms such as those seen during the 2017 [MEGA] hurricane season. It appears to be quite difficult for many readers to understand how superstorms are first created and then carefully guided to their predetermined destinations. Highly advanced scientific techniques and applied technology are now routinely utilized within the realm of geoengineering. Chemical geoengineering via chemtrails & chembombs, HAARP frequencies, Nexrad transmitters, power plants, as well as secret satellite-based modalities, are used with great dexterity in the manufacturing and steering of major hurricanes. This relatively new status quo can only go on for so much longer. The local ecosystems and global environment alike can only sustain so much devastation. The real plight is that the incessant chemical contamination and EMR frequency onslaught is occurring well below the radar. Hence, very few are really aware of the planetary degradation at the micro level. TPTB know that what cannot be seen, heard or felt cannot be responded to. This is precisely why they launched such an aggressive campaign to convince the citizenry that chemtrails are contrails. They knew that if they repeated that lie enough times it would serve to provide cover for the geoengineers to continue their patently unlawful chemtrail operations. However, the time is fast upon US when this falsehood must be exposed for the transparent deception that it is. How the American people permitted such a destructive government conspiracy to deceive them for so many years is quite incomprehensible. Nevertheless, it’s better late than never to take back our skies, once and for all. The health and well-being of future generations greatly depends upon it, as does the integrity of the biosphere.